On January 8, 2011, twenty-two-year-old Jared Lee Loughner opened fire at a Tucson meet-and-greet held by U.S. Representative Gabrielle Giffords. The incident left six people dead and eighteen injured, including Giffords, whom he shot in the head. 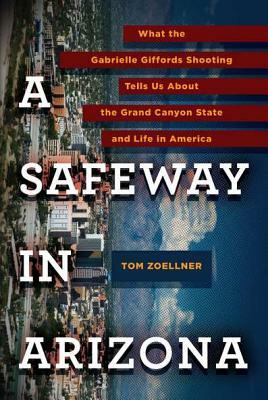 Award-winning author and fifth generation Arizonan Tom Zoellner, a longtime friend of Giffords's and a field organizer on her Congressional campaign, uses the tragedy as a jumping-off point to expose the fault lines in Arizona's political and socioeconomic landscape that allowed this to happen: the harmful political rhetoric, the inept state government, the lingering effects of the housing market's boom and bust, the proliferation and accessibility of guns, the lack of established communities, and the hysteria surrounding issues of race and immigration. Zoellner's account includes interviews with those directly involved and effected, including Arizona's controversial Sheriff Joe Arpaio. Zoellner offers a revealing portrait of the Southwestern state at a critical moment in history- and as a symbol of the nation's discontents and uncertainties. Ultimately, it is his rallying cry for a saner, more civil way of life. Tom Zoellner has worked as a contributing editor for Men s Health magazine and as a reporter for the San Francisco Chronicle. His book The Heartless Stone: A Journey Through the World of Diamonds and Desire will be published in the summer of 2006." "Tom Zoellner's remarkable book about a moment of tragedy in Arizona ends up a story of survival--a wounded Congresswoman's survival, and a wounded nation's survival as well." "Zoellner brilliantly evokes the past and present of Arizona, the outsized personalities that have shaped the state and the paranoia lurking at the edge of society. A sure-to-be-controversial, troubling tale of the wages of fear on the body politic."